"The most important thing is that nobody got hurt. Except your opponents." Mia is a Water Adept who helps people with diseases and health issues in the area. She is polite and serious, always able to support and reconcile her friends. Illustration for "Pure Ply" by SkyberrySymphony -> IT'S SO BEAUTIFUL, LISTEN TO IT PLEASE!! Awww I cosplayed Mia a few years ago! I've just found your drawing and it brings back so many good memories thank you! Thank you!! 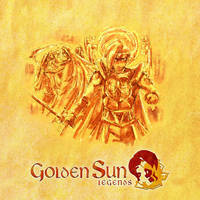 It's always nice to see another Golden Sun fan! Oh! Excellent work everywhere! I know which music I'm going to listen to, today. Thank you!^_^ Comments and fan support much appreciated! You've made me fall in love with GS again! I suscribed to your friend's youtube's channel. And I've decided to watch your gallery ! What you both do is amazing for a much under-appreciated game! u are very welcome mate! She looks gorgeous!! And way more mature than I ever imagined her! But nevertheless, an admirable job, neshirys- and Skyberry-dear! Do please have these cookies to strengthen thy magic, I made sure to infuse the dough with mana potion liquid instead of regular water! Yes, this is a moral struggle..
Oh you Glad you like it! *SIDE NOTE: Sorry if I didn't comment on your other pieces, I was on a mini - hiatus for a while!